Robotics and Automation; factually these terminologies gained their significance some time around the beginning of industrial revolution but conceptually the origins of Robotics and Automation technology traces back to 1023 BC, when man first learned to design mechanical work frames . In 1942, Isaac Asimov, a science fiction writer introduced the three laws of robotics that followed the basics of practical robotics and the principles of cybernetics formulated by Norbert Wiener in 1948. Later in the 20th century, the first fully autonomous robot was created, marking the first step towards the modern sophisticated dynamics of Robotics and Automation technology. With the advancement of science in current times, robots have become a reality, finding their application in almost all the industry verticals. Resembling and performing functions of human beings, robots today are serving a great purpose as they substitute human presence in dangerous environments, risky operations, difficult jobs and dull repetitive functioning involved in certain kinds of occupations. Robotics and Automation has not only mitigated the risk of human beings but have also helped in performing functions with increased accuracy, reliability and reduced costs. The current and potential applications for Robotics and Automation include increasing implementation in the manufacturing, laboratory research, surgery, weaponry, assembly, packaging, safety, education, transport, earth and space exploration in addition to various other industries. Robotics and Automation has considerably changed the corporate universe’s perspective towards the autonomous workforce as the majority of the organizational sectors ranging from IT and Military to Agriculture, have all found their productive tools with Robotics and Automation. 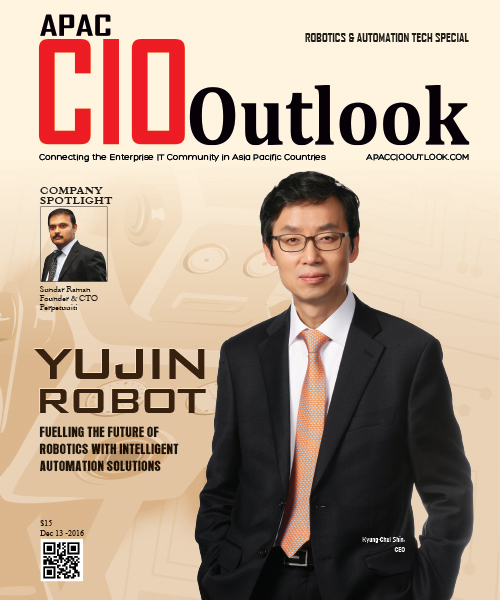 The current edition of APAC CIOoutlook brings you “25 Most Promising Robotics and Automation Solution Providers”. The list highlights some of the most prominent organizations of the industry who are capable of leading their clients towards excellence by supporting them. 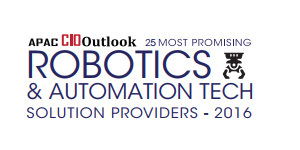 The proposed list aspires to assist individuals and corporations to find the right Robotics and Automation companies, who help them accomplish their projects.